Last weekend Jennifer’s parents flew in to help celebrate Emily’s birthday and to get their first look at our new house in Florida. We showed them around and took them to breakfast at The Townhouse Restaurant in downtown Oviedo. 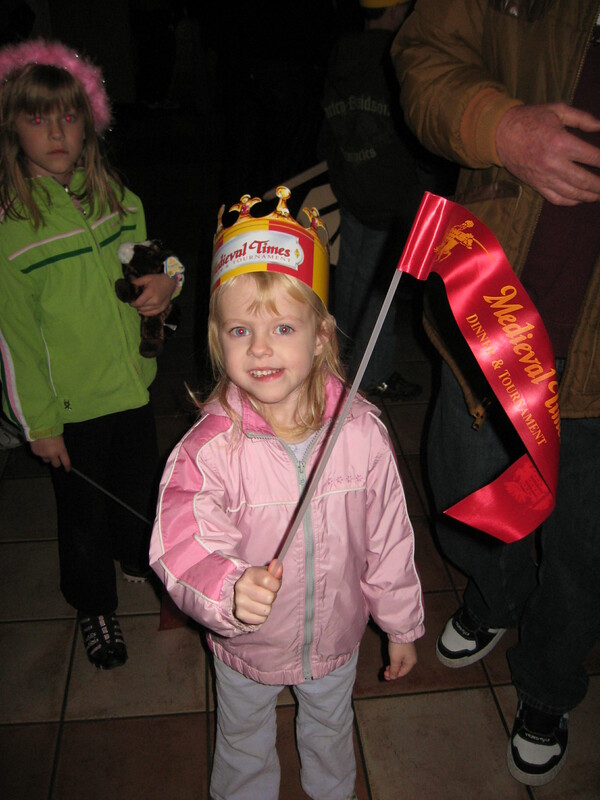 In the evening we took a trip down to Medieval Times in order to celebrate Emily’s seventh birthday. Since she loves horses so much, we thought she would enjoy the show. Everyone loved it and we had fun cheering on the red and yellow knight (who didn’t end up winning). 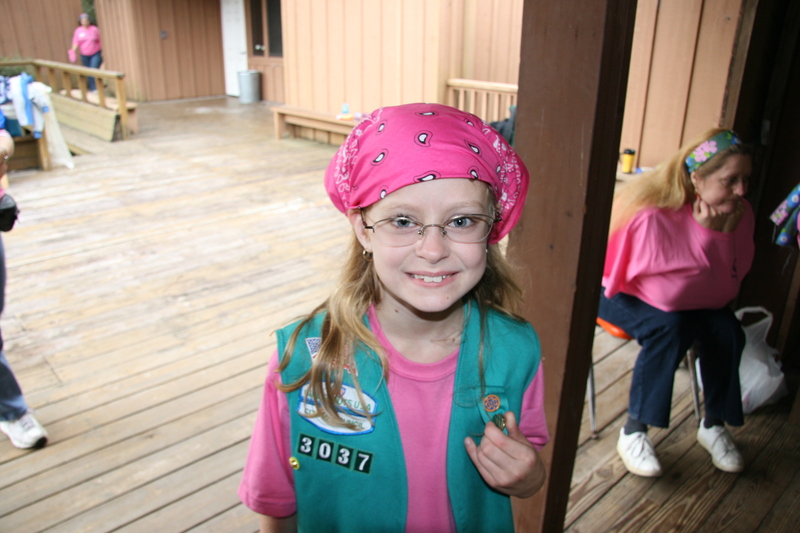 This past weekend, Jennifer and Abby headed out with Girl Scouts on a camping trip. They left Friday night and didn’t come back until Sunday morning. Fortunately the camp was just right around the corner, only about fifteen minutes away from the house. It rained Saturday night, but apparently the tents were well made and they didn’t get wet at all. They had fun doing crafts and shoot archery. Jennifer came back with a bruise on her left arm from the archery bow. They had a fun time, but were exhausted when they returned. This week was pretty quiet as we stayed at home and did various chores around the house. Jennifer is finishing up the drapes for our room. We went out and got Izzy’s bike fixed. A cold snap finally hit Florida and I replaced the downstairs thermostat with a programmable one. This allows me to lower the temperature at night and have it automatically increase the temperature in the morning before we get up. 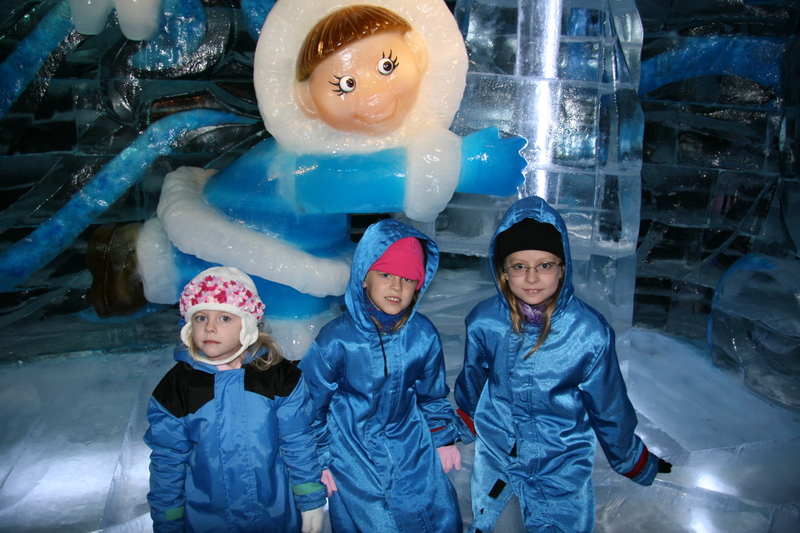 One excursion we did was visit the Gaylord Palms’ ICE! Exhibit. The Gaylord Palms hotel had brought in ice sculptors to carve blocks of ice. The exhibition hall was set to nine degrees and they handed out parkas for everyone to wear. Jennifer had the forethought to buy the girls hats and mittens, so they were prepared. However, it didn’t take long before Izzy’s cute nose was turning red. Near the end of the exhibit was a giant ice slide, which the girls got to slide down. So, overall a nice quiet week off. 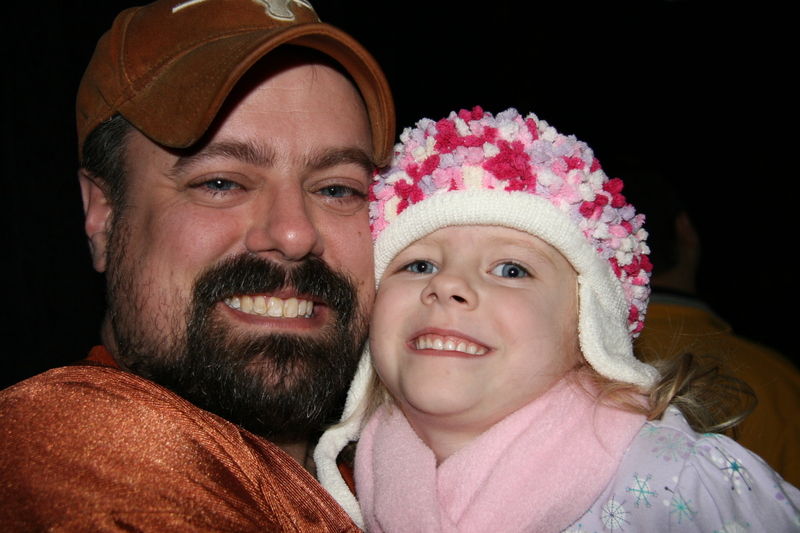 Next few weeks are busy: Emily’s birthday, the Texas Longhorns try to win the National Championship, the launch of Madden Ultimate Team, Jennifer’s parents are flying in, dinner at Medieval Times (for Emily’s birthday), and a camping trip down at Disney.